Check out Orange Coast College’s most stylish students of the last two weeks. @luber333 has an awesome ring! Looks like wood but made of plastic. 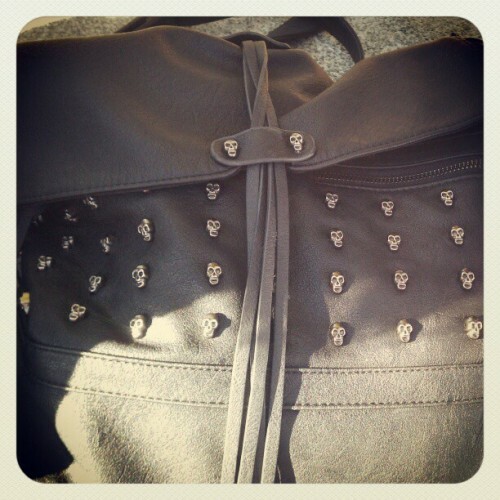 @justineelysee has a killer bag with skull studs! Flowers add such a great touch to any editorial photo shoot. That’s why I’ve been practicing using flowers in my own editorial productions. The world of flower arrangements is an art in and of itself but when added to a photo shoot, I believe it takes it to a whole new level. Check out these amazing editorials I found that use flowers to make the photos really pop. This adorable editorial displays classy wardrobe embellished with flowers in every aspect all the while enjoying a little tea time. Simply Gorgeous!